There are heaps of boat shippers in the boat shipping or auto shipping industry in Florida that answer to your needs. But finding the safest and dependable boat shipping company in Florida seems to be a very big challenge for most of the people. Finding the right boat shipping company in Florida could not be that so hard. Shipping your car or any other vehicles is easy and need worry free if you know how to select the provider. 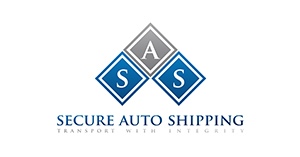 If you’re looking for any shipping company in Florida to ship and transport your car or any other motor vehicle then you need to do some careful background check. It is vital to know if the shipping company is of good standing in the market. One way to know this is the reputation of any given company among its past and present customers. Is the shipping company the leading boat shipping company in Florida? Does it have 100% customer satisfaction ratings? Another thing to know is if such shipping company has a valid license to engage in such type of services. It is a common knowledge that there are so many fraudulent transactions when it comes to these types of services especially in the internet. Choose among the best shipper and select wisely.